Newswise, March 9, 2017 — Taking popular heartburn drugs for prolonged periods has been linked to serious kidney problems, including kidney failure. The sudden onset of kidney problems often serves as a red flag for doctors to discontinue their patients’ use of so-called proton pump inhibitors (PPIs), which are sold under the brand names Prevacid, Prilosec, Nexium and Protonix, among others. But a new study evaluating the use of PPIs in 125,000 patients indicates that more than half of patients who develop chronic kidney damage while taking the drugs don’t experience acute kidney problems beforehand, meaning patients may not be aware of a decline in kidney function, according to researchers at Washington University School of Medicine in St. Louis and the Veterans Affairs St. Louis Health Care System. “The onset of acute kidney problems is not a reliable warning sign for clinicians to detect a decline in kidney function among patients taking proton pump inhibitors,” said Ziyad Al-Aly, MD, the study’s senior author and an assistant professor of medicine at Washington University School of Medicine. 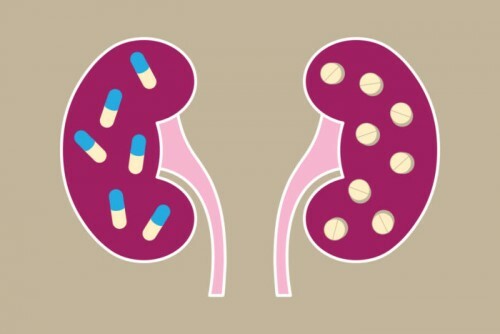 “Doctors must pay careful attention to kidney function in their patients who use PPIs, even when there are no signs of problems,” cautioned Al-Aly, who also is the VA’s associate chief of staff for research and education and co-director of the VA’s Clinical Epidemiology Center.